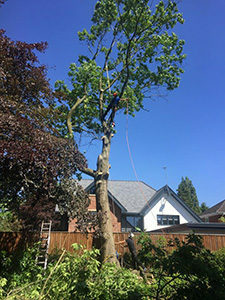 We are expert tree surgeons based in Stockport, Cheshire. We specialise in the art of arboriculture and have many years’ experience. An important part of what makes us different to our competition is that we own all of our own equipment. We have vast experience in the trade and have a range of professional qualifications. Although we are based in Stockport, Cheshire we currently serve all areas of the region. All aspects of tree surgery are offered with well-supported customer care. We always aim to offer the very best service for our clients. Our tree surgery services include tree removal, tree pruning, tree felling, stump grinding, tree reshaping and more. We complete a range of work from small garden work through to large commercial work. 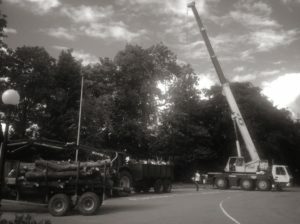 Some of our work has required large cranes and an understanding of the safety elements required. Our services are available 24 hours a day and offer an emergency call-out service. It is vital for our clients that our provision is accessible at all times. Another element of our provision is that we are fully insured up to £2,000,000. This offers our clients assurance when selecting our Company. We are able to provide proof of insurance, if required and are happy to discuss any questions you may have. 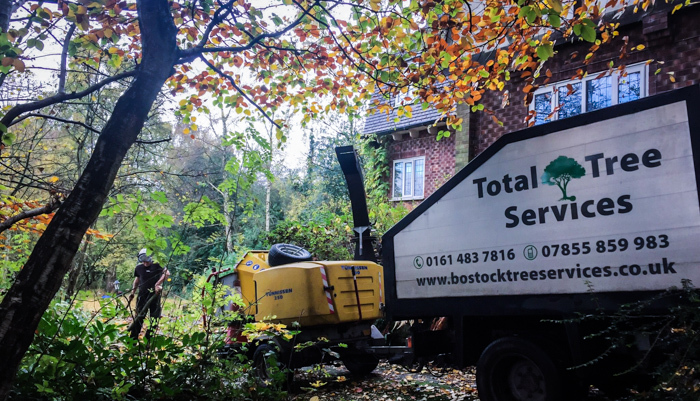 Are you looking for a tree surgeon in Stockport? Do you have problem trees that you have been meaning to sort for some time? We offer a quotation service which allows us to answer any questions and outline the schedule of works. It also allows our clients the opportunity of meeting us and gaining confidence from our professional approach. We will arrange a quotation at a time that is convenient for you. We are prompt, friendly and professional. Please call today on 0161 483 7816 or 07855 859983. This is a large tree that needed felling in Stockport. The size of this project was large, and this is where we excel. We are able to offer a comprehensive service. This means that all the machinery is available, all safety aspects are considered, and permissions granted (should these be required). Our experience allows us to approach this type of work with confidence.